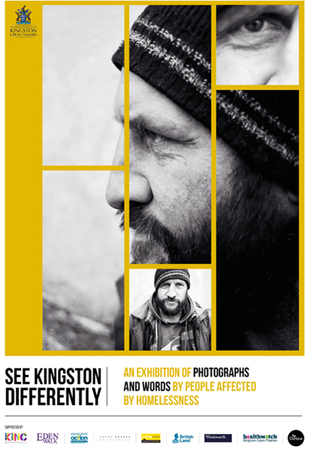 FusionARTS in association with Kingston Churches Action on Homelessness and Kingston Independent Network of Creatives are pleased to have presented a projected exhibition of photographs taken by people who have been affected by homelessness. Twenty cameras were given to people who were, or had experienced homelessness in Kingston, so they may record their everyday lives and experiences without any constraints. The idea behind the project was to give the participants a ‘voice’ that they would never normally have. Our exhibition provided a glimpse of real lives that are often ignored. The exhibition has now finished.